World Taekwondo (WT), the International Taekwon-Do Federation (ITF) and the International Olympic Committee (IOC) today hosted an event in commemoration of the 25th anniversary of taekwondo’s Olympic inclusion. 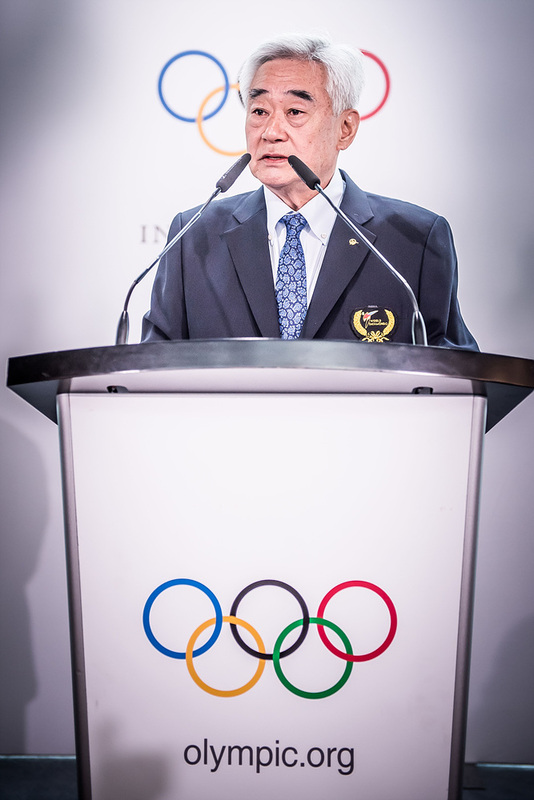 The event, which took place at the Olympic Museum in Lausanne, was held in recognition of the positive contribution taekwondo has made to the Olympic Movement, including the innovative changes of competitions and the promotion of humanitarian and peace-building initiatives over the past 25 years. Taekwondo has appeared at every Olympic Games since the 103rd IOC Congress in Paris voted to include taekwondo in the Sydney 2000 Olympic Games. IOC President Thomas Bach, ex-German Chancellor Gerhard Schroder, ASOIF President Mr. Franceso Ricci Bitti, IOC Executive Board Member and President of UWW Mr. Nenad Lalovic, President of International Handball Federation Mr. Hassan Moustafa and FISU President Mr. Oleg Matytsin joined WT President Chungwon Choue and ITF President Ri Yong Son to celebrate the event. Officials from WT, ITF and Taekwondo Europe also attended the celebrations. A total of 28 delegates from WT and 23 delegates from the ITF performed a joint-demonstration which showcased acrobatic kicking skills, self-defence, graceful Poomsae and board breaking during the celebrations. Together, the two teams demonstrated the full range of taekwondo. “We in turn will continue to promote the Olympic values around the world. We are committed to fulfilling our social responsibility and making a major contribution to social development and humanitarian causes. Working with the ITF, we are aiming for ‘One World, One Taekwondo’. All delegates were impressed by the energetic, yet touching joint taekwondo demonstration the two federations showcased at the Olympic Museum. The performance fused gravity-defying kicks and breath-taking board-breaks with a strong message of peace through sport. The celebrations followed another joint WT-ITF demonstration held in Vienna, Austria, on 5 April and mark the latest step in the ongoing collaboration between the two federations. As a special event, WT Council Members Prof. Kuk Hyun Jung and Mr. Metin Sahin had a re-match after 34 years. These two competed at the final of the WT World Championships in 1985. 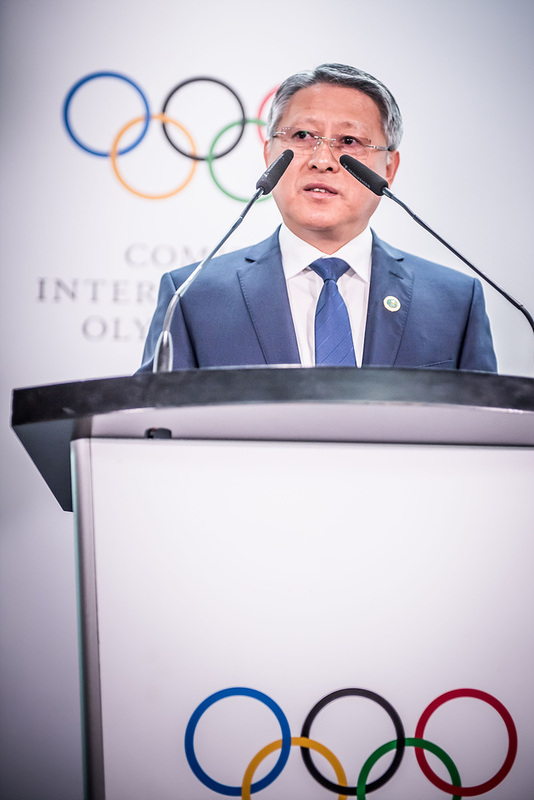 During the Nanjing 2014 Youth Olympic Games, WT and ITF signed a Protocol of Accord under the guidance of the IOC and in the presence of IOC President Bach. This Protocol of Accord has led to the two federations jointly organising taekwondo events in Russia, South Korea and North Korea. The latest agreement between WT and ITF was signed on 2 November 2018 in Pyongyang, North Korea to enhance the cooperation of two taekwondo international federations. 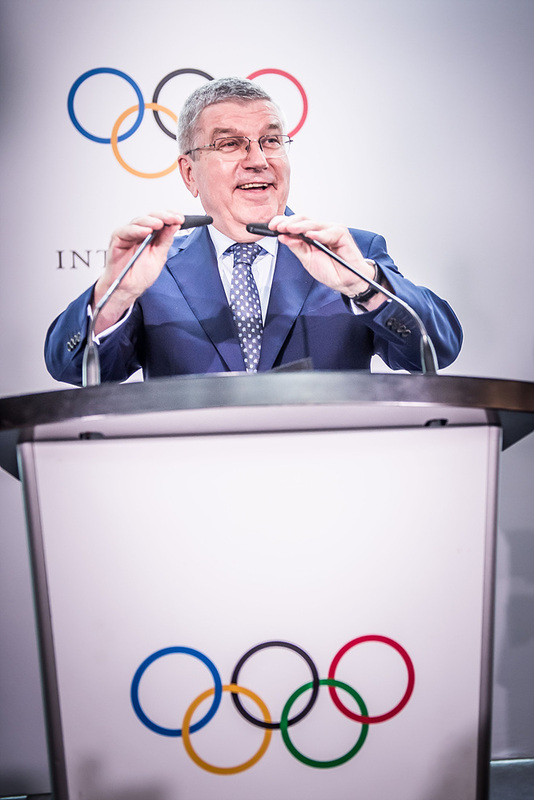 The two federations will host the third and final joint-demonstration of this week-long celebration of Olympic inclusion tomorrow at the UN offices in Geneva.